If you want to take a step back from the fun and excitement of the crowds that fill the legendary boardwalk of Wildwood, NJ, you can choose to stay in Wildwood Crest, located at the south end of the five mile island. Wildwood Crest offers more subtle entertainment for you and your family, but offers you convenient access, with a brisk walk or trolley ride, to the center of the action that fills its northern neighbors of Wildwood, and North Wildwood. So, what are the unique attractions located in the southern portion of five mile island? Well of course the beaches are a number one must see, and similar to the beaches of Wildwood and North Wildwood, you do not have to pay to enjoy the white sand and the vast Atlantic Ocean (that means no beach badges required!). An additional bonus to relaxing on the less crowded beaches of Wildwood Crest, are the ever present views of Atlantic Bottlenose Dolphins. You are probably surprised to learn that Wildwood Crest waters have the largest concentration of these friendly aquatic mammals. Additionally, you can easily find a sightseeing tour which promises a closer view of the Atlantic marine life which inhabits the waters of Wildwood Crest, NJ. 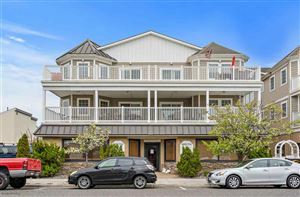 The fewer number of commercial properties in Wildwood Crest allow for a vast number of accommodations, most of which are family oriented. For entertainment apart from the beach, you can enjoy the bike path which runs parallel to the beach. Also, you can venture to the west side of the island to enjoy an extraordinary sunset at Wildwood Crest's other fantastic feature: Sunset Lake. In addition to the romantic sunsets, Sunset Lake offers a variety of water activities, including sail boats, jet skis, and fishing excursions. And if that is not enough, The FREE Summer Concert Series is staged at the Gazebo on Sunset Lake, which displays an array of musical styles each week.